I didn't think I'd enjoy this as much as I have but I really liked it! 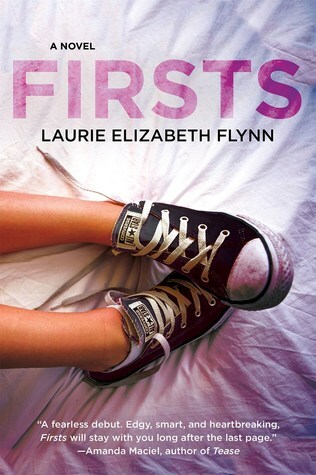 Mercedes is a seventeen year old with a mission - she's out to help virgins master their first times so that they can give the perfect first times to their respective girlfriends. Now, did that sound a bit wrong? I mean why did Mercedes think that was a good idea? Why would the virgins think they're actually doing their girlfriends a favour by first sleeping with Mercedes? How would Mercedes even know if a boy really was a virgin or not? All of these questions ran through my mind while reading this book but I didn't care, it was just too entertaining! Something drastic happened and now the whole school knows about Mercedes and her sleeping with the virgins. She became the most hated person in the school and she felt like she's lost everything. She was saved by one of her best friends Faye and Zach. It didn't make things go away but they gradually became whispers in the hallways instead of outright insults in her face.